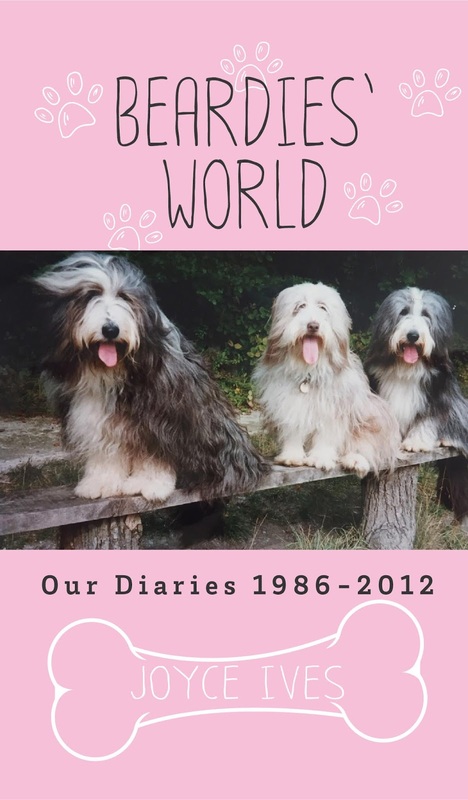 If you already have a dog/dogs or are even thinking of buying one, read this book, which shows what fun and laughter we had with ours over twenty-six years, making a lot of friends along the way. 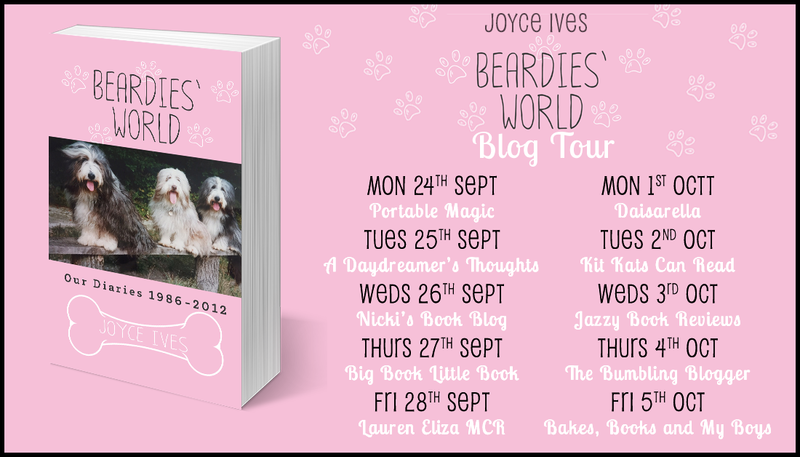 This book is Joyce Ives’ narrative to the twenty-six years she and husband John owned, cared for and loved their four Bearded Collies. 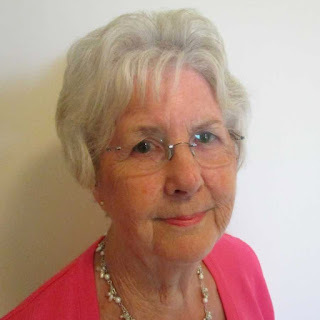 The memories shared by Joyce in this book are likely to touch the heart of anyone who has had any experience of growing up and growing old with dogs. In her narrative Joyce has been able to capture beautifully how our special bond with our canine friends often becomes so significant in our life’s journey; our experiences of joy and laughter and at times our sadness and loss. Ever since she was a young girl, Joyce Ives has had a soft spot in her heart for dogs. So when the time came, she decided to leave her full time job to become an owner to her very first Bearded Collie – Kizzy. After this initial decision, they soon become owners to three other beautiful Beardies – Emma, Muffin and Solei. Unfortunately, due to ill health, both Joyce and John no longer look after any dogs but Joyce will always dream of owning more. Joyce now resides in Seaford, East Sussex, and is glad to finally have had time to write her first book. Beardies' World is a fantastically written book written as if the Bearded Collies are talking. I really enjoyed the way this was done. There are also images throughout, which I thought adds to the story. I really enjoyed learning all about the Bearded Collies' lives. As a dog lover and animal lover I found this book to be perfect and touch me in every way. A massive thank you to Faye for letting me be a part of this tour.